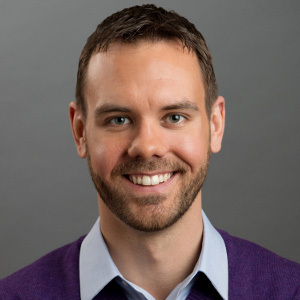 Waterloo – Wilfrid Laurier University’s Department of Psychology has invited award-winning social psychologist Kurt Gray to speak at the 15th annual public Hunsberger Memorial Lecture on Nov. 2. Gray, an associate professor of psychology at the University of North Carolina at Chapel Hill, will be discussing a new theory in the field of moral psychology, “dyadic morality.” He argues that when we make moral judgments, we tend to cast one party as intentionally doing harm and the other as a victim. Acts become immoral when we see a mind in a victim but lack moral weight when we believe the victim has no thoughts or feelings. Gray’s research provides a new perspective on topics as varied as religion, psychopathy, artificial intelligence and sexual objectification. According to Gray, we fall into seeing issues through the victim-perpetrator model even when there is no perpetrator (those who see vengeance from God in natural disasters) or harm caused. Once we’ve labelled aggressors and victims, we have difficulty seeing nuance in the issue; victims escape blame and we ignore the pain and intent of perpetrators. Gray studied psychology at the University of Waterloo before achieving his PhD from Harvard University. He has won a number of early career research awards, including the Association for Psychological Science’s Rising Star Award and Janet Spence Award for Transformative Early Career Research. He is the author of The Mind Club: Who Thinks, What Feels and Why it Matters. The lecture will be held on Nov. 2 from 2:30 to 4 p.m. in the Science Building on Laurier’s Waterloo campus, room N1001. A reception will follow in room N2005. The event is free and open to the public.